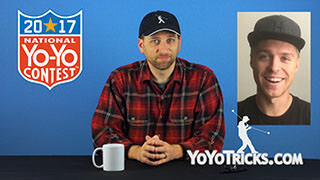 Free International Shipping, New Website, and T-Shirt – Weekly Yoyo Update – 12/1/17 Yoyo TrickCan you guys remember back before we started doing the weekly yoyo update, how when we had news, I would just talk to you? I kinda miss those days. 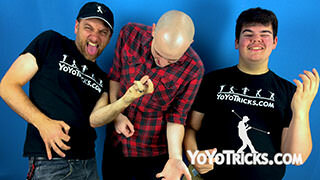 Now, for this week’s news you make noticed that we have a brand new t-shirt that comes in a nice Chocolate Color. 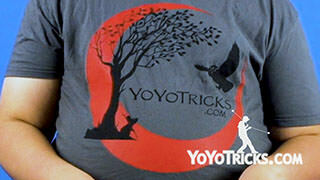 We call this our “Yoyo Finger T-Shirt.” What this shirt is really about is educating the public. I mean, all of us wish that everyone knew what each of the digits on their hand is called, and so we made this shirt that makes it very clear. 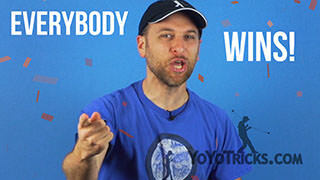 Particularly, the most misidentified digit, the tall one, sometimes called the “middle” finger, this shirt properly identifies as the Yoyo Finger. 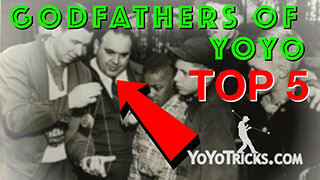 This is especially nice if you are teaching people how to yoyo because it gives them a nice non-verbal indicator that if you are going to put a yoyo on their hand, they should not extend their first or their index finger, they should extend their yoyo finger, which will just make the holidays go a whole lot easier. Now, the big news this week is that we have done a complete overhaul of the website. We did this for a couple of reasons. We wanted to add some new features, so if you scroll down to the middle of the homepage, you will see that we have added new player pages that have a lot more pictures and content about the players. We are kind of in the middle of this project. We will be adding some more content to these player pages as we go on, and we will also be adding more player pages, until we have the full set of people who have taught on our site. So look forward to that. But, one of the big things about this is, we have update our two most popular packs, right in time for the holiday season, to make them a lot more affordable. 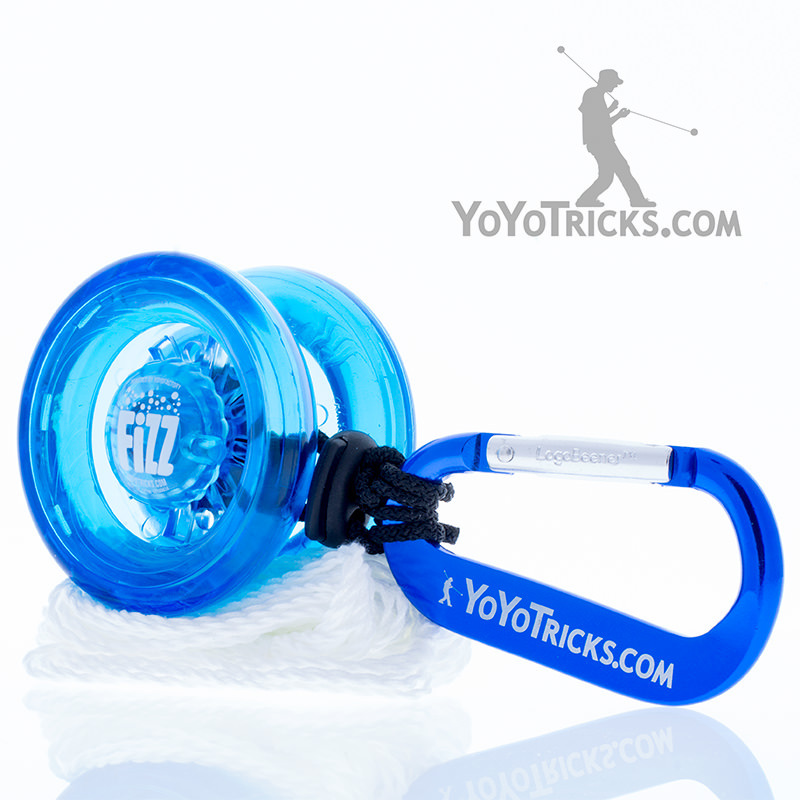 The first one is the Fizz Yoyo Beginner Pack. We dropped the price by $5. 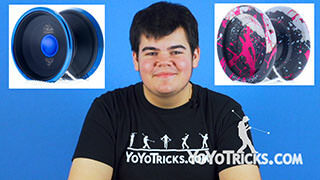 So if you have a younger person who is interested in yoyo who is either a friend or a family member, that you were thinking about getting a yoyo for, this is the one that you want to get, it is just $15 now and it comes with everything that you need. 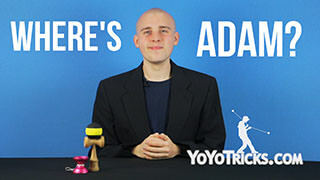 You have got the Fizz, you have got 10 extra string, and the bloop so that they can carry it around so every time you see them, you can teach them a new trick. 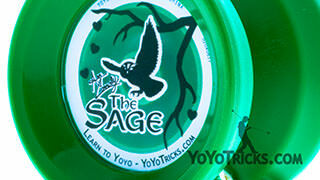 Now, we also combined the Sage Starter and the Sage Pro Pack, together into one pack. But even though we combined them, we kept it at the same price as the Sage Pro Pack. 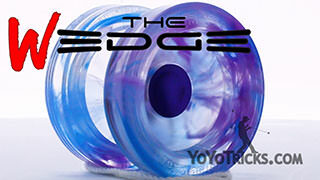 So not only is it a really good deal, but have got the Sage which comes with the responsive bearing. 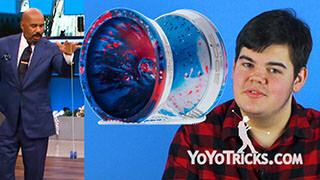 You also have the Thick Lube, which will help keep the yoyo playing perfectly. It also comes with the Center Trac bearing for unresponsive play, and the Thin Lube to keep that bearing working properly, as well as extra strings. 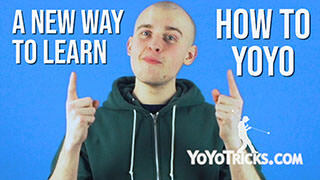 So, we just wanted to simplify everything and give people a really good deal. 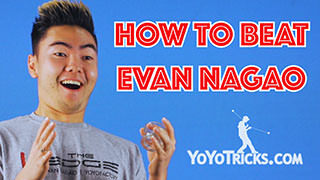 This will take you from being a starter all the way up to pro level tricks. 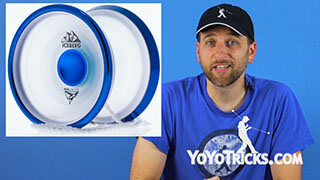 Like I said, it is just in time for the holidays, so definitely think about this if you are getting yoyos for the ones that you love. Now, the other thing about this overhaul on the site, probably the biggest thing that we are doing, is we have been able to lower the price of international shipping. Now, the way that we were able to do this is we actually have a separate warehouse that we ship from now, outside of the U.S. and of course we still have our U.S. Warehouse where we ship. So since we have two different locations, not only is shipping internationally going to be much less expensive, but it is only going to be $7.99 as a flat rate. 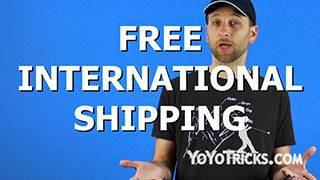 So no matter how much you get, the shipping price will always be $7.99, anywhere in the world, and of course U.S. shipping is the same price it has always been. 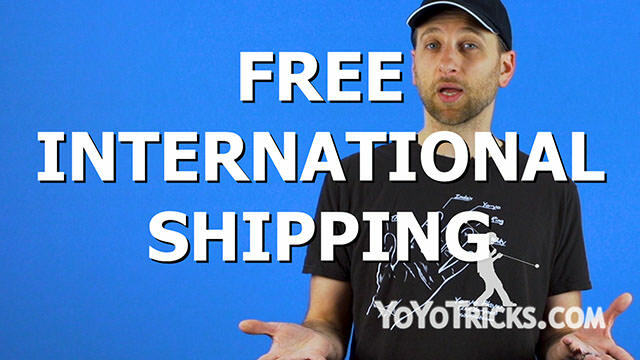 Also, if you order $100 or more, shipping internationally will be completely free. A lot of people, you know, and even us, we have been frustrated that we have not been able to offer really excellent shipping prices. It took us a long time to get this worked out, but now I think that you are going to be really happy with it. We also expect shipping times to be quite a bit faster. Maybe 50-75% faster than what they were before, at a much better price. We think this is going to work out great for everybody. Now, since we do have two different warehouse locations, every now and then you are going to see a product that is available in the U.S. that you will not be able to buy internationally, or vice versa. If you see a product on your site that you can not get access to, just contact us through the contact form. It is right on the homepage now. Let us know that you would be interested in getting that product and we will be able to let you know when and if we will be able to make that available to you. 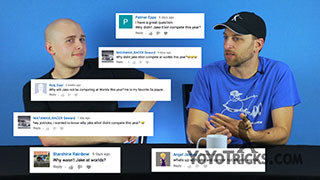 It also gives us a good indication of who around the world is interested in what products. 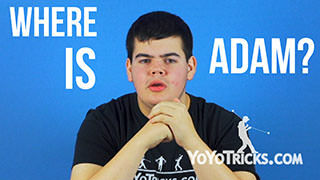 So, since this is a new launch, one thing that you could do to help us out that we would really appreciate: we made a lot of changes and when we do that, that means that there is going to be some mistakes, so if you are on the site and you see a typo or there is some sort of problem on the site that you do not think that we are aware of, feel free to contact us about it. We would love to hear about those because we are aggressively going through the site right now, fixing as much as we can. We could definitely use your help. 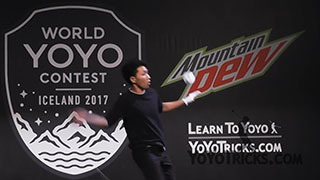 Now, concerning our current weekly yoyo update contest, and of course I am talking about the grind trick video contest for Instagram, we are going to be announcing the results of that contest on Wednesday, in next week’s Weekly Yoyo Update, so if you want to enter that, it is still open. I would say, get your contest entries in by Monday, and that way we will be able to look at them and enter them into the contest. 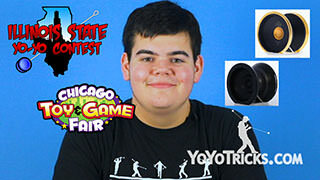 You can win a $25 gift card to YoYoTricks.com, so if you want more details on that, definitely go to YoYoTricks.com/instacontest/. It has got all of the details, and you can enter and possibly win. 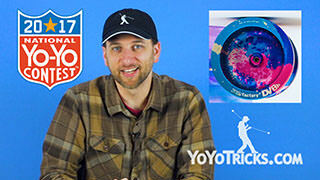 Now, the next Weekly Yoyo Update we also have a lot to tell you about some new products that are coming in. 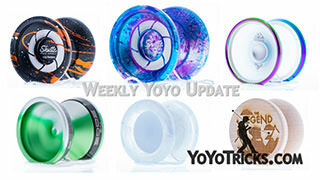 There is a lot of exciting news, so definitely check back and we will also announce a new weekly yoyo update contest that you can enter at that time as well. So, we will see you then.